Polyurethane has proven itself as the material of choice in high performance suspension components. Urethane, when properly formulated, stands up to the stress of performance street cars, trucks with suspension lifts and muscle cars with big horsepower. Polyurethane is more firm than rubber, and controls suspension components like sway bars and control arms better. 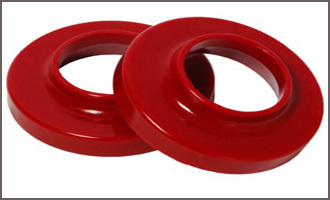 Our large inventory of urethane springs are designed primarily for applications where corrosion, vibration, and magnetism prevent the use of conventional steel springs. 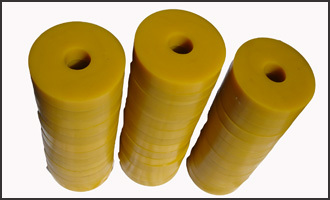 Also, urethane springs have proven to be the safest, most efficient and reliable compression springs for punching, stamping and drawing dies. 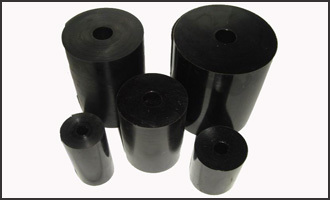 Kosin produces custom cast tubes from our premium grade urethane to withstand a wide range of applications. 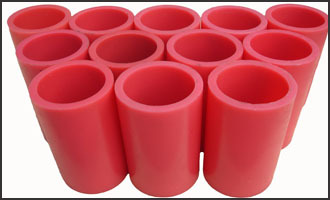 All urethane tubes are customized to your specifications of diameter, length, hardness and color. When specialty parts are needed we can produce Dual Durometer polyurethane tubes and custom shapes.